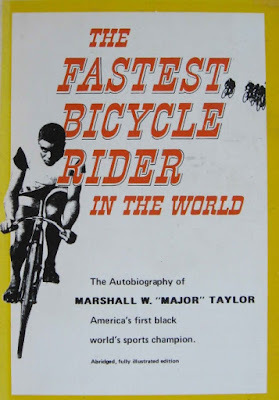 On August 10, 1899, Marshall “Major” Taylor of Indianapolis won the one-mile world championship in bicycling in Montreal. Taylor was the first African-American world champion in any sport and held several world records, and President Theodore Roosevelt was one of his biggest fans. 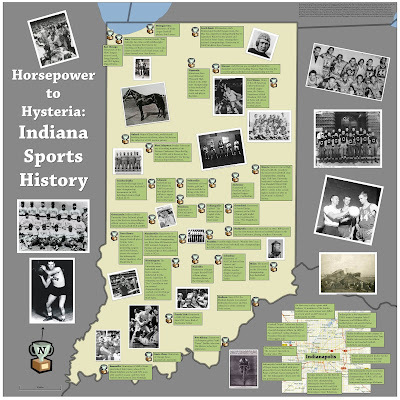 Taylor is featured on the map Horsepower to Hysteria: Indiana Sports History (above, click to enlarge) available from the Ball State University Libraries’ GIS Research and Map Collection (GRMC). This map is part of a series of maps created by the GRMC commemorating Indiana history. The maps are geared toward the fourth-grade Indiana history curriculum and feature numerous people and places often neglected in the elementary social studies textbook. 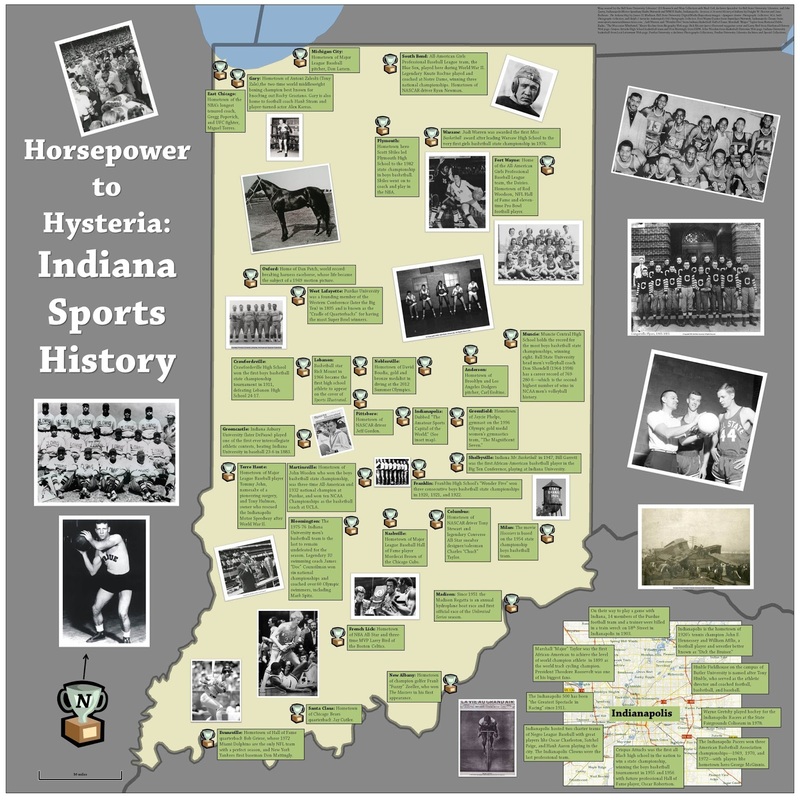 The sports history map includes Indiana’s love of the game of basketball with hometown heroes like Larry Byrd of French Lick and John Wooden of Martinsville. David Boudia, a gold medalist diver from Noblesville, is also featured. And Dan Patch of Oxford—a world record-breaking harness racehorse in the early 1900’s—is also depicted. Another sports-related map from the GRMC shows the Indiana high school boys basketball state champions (before class basketball). Other maps in the series include a map of Indiana political history, Indiana women’s history, Indiana automobile history, and Indiana music history. A map showing movies that take place in Indiana is available. Maps of prominent authors from the state, animals of Indiana, points of interest, and Indiana “firsts” and inventions are also included in the series. The maps include photographs from the Libraries’ Digital Media Repository and from the Indiana Historical Society. The Indiana history maps are available in the Libraries’ Cardinal Scholar repository. The maps may be printed and used in the classroom or for research, learning projects, or other displays.